Before we start our review, let it be known that the timelines for all the current Netflix Marvel series are set before Thanos' infamous finger snap (seen in "Avengers: Infinity War). This is confirmed by the "Iron Fist" actor Finn Jones himself in our interview with him, but more on that later. When the first season of the fourth superhero Danny Rand a.k.a. The Immortal Iron Fist was introduced in the Netflix-Marvel collaborative series, there were admittedly some pretty mixed reviews, with some even saying that "Iron Fist" is the weakest link of The Defenders ensemble. 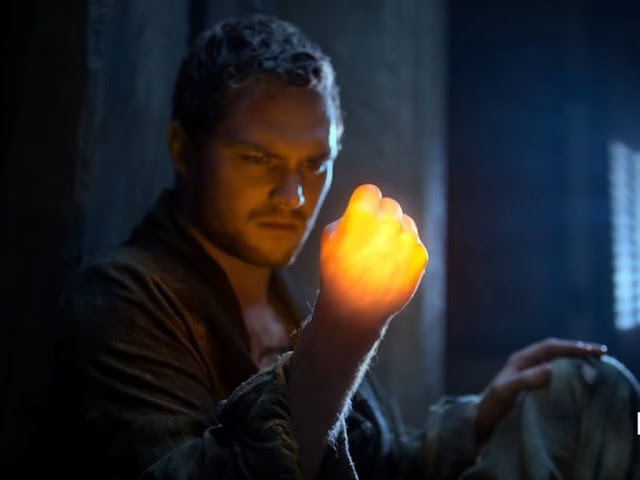 However, if you gave "Iron Fist" season one a chance and stuck with it, you would be glad to know that the second season is a vast improvement as many chinks in the story are finally ironed out, and for that we can probably thank the new showrunner, Raven Metzner who gave the series a much needed punch where it once lacked. It's faster in action, more natural when it comes to dialogue delivery, and the danger threat from enemies are much more justifiable and grounded, bringing it on a common 'street' level like the other Marvel-Netflix shows. Having recognised that fans didn't like Danny Rand's initial zen seeking whiny self, we now have a much more matured character who somewhat has found his place in Chinatown and settled into not only his powers, but with his girlfriend, Colleen Wing (the bad a** Jessica Henwick). Familial ties come into play much more in season two as not only is Danny's brother from another mother - from Kun-Lun- Davos (Sacha Dhawan), is at odds with him, but there is a pretty nasty sibling clash that's observed with brother and sister, Ward and Joy Meechum throughout, which leads to dire consequences. Having recognised that perhaps the series doesn't need to solely rely on lead Danny Rand's character, Raven has balanced out the focus of the series on its powerful supporting characters. Come to think of it, "Iron Fist" probably has the strongest supporting cast compared to the rest of The Defenders, and it's about time they are given more screen time. For example, the struggling Meechums are quite intense to watch, and the troubled self-righteous Davos going at odds with Danny over the Iron Fist bestowment makes him a better conflicted villain than whatever we saw via Meechum senior's role in the first season. Perhaps the greatest highlight of "Iron Fist" season two is the introduction of Alice Eve as the creepy-as-f*ck Typhoid Mary. She adds the unexpected 'crazy' to the series. Is she bad is she good? Who knows! There are plenty of reveals, flashbacks at Kun-Lun and noticeably improved technical fight scenes (especially many awesome ones with Colleen Wing versus the baddies), but most of all, the series is finally finding its iron grip. If the reveal at the end of season 2 is anything to go by, we're definitely in for season 3 with more characters added into the mix! 2. A stand-alone series for Typhoid Mary like Punisher? In "Iron Fist" season 2, we're introduced to Mary Walker, who from the start is introduced as someone struggling with multiple personalities. We see "Mary" who is a sweet girl from the Midwest crushing on Danny Rand whilst trying to find her place in big scary New York, and then there is "Walker" (also known as "Typhoid"), a femme fatale serial killer for hire who gets the job done sans any emotions. Alice Eve played the switch between characters seamlessly of course, but according to the comics (and as hinted later in the series), there is apparently a third hidden personality known as "Bloody Mary", the most brutal murderous persona of them all. Remember how much people loved the conflicted Punisher played by Jon Bernthal in "Daredevil" season 2"? That soon fast tracked "The Punisher" series from potential development hell and got Frank Castle his very own stand-alone series (which may we add, also did quite well) on Netflix. So, if a supporting character can stand on its own two anti-superhero feet, then perhaps we're only moments away for Typhoid Mary standalone series announcement? We'll just leave what Head of Marvel Television and executive producer Jeph Loeb once said of "The Punisher"; "I'm never going to discourage a network from looking at one of our characters and encouraging us to do more ... If we are lucky enough that through the writing, through the direction, through the actor that people want to see more of that person, terrific." So like, go greenlight a Typhoid Mary series already, Netflix! 3. An exclusive conversation with Iron Fist and new showrunner! 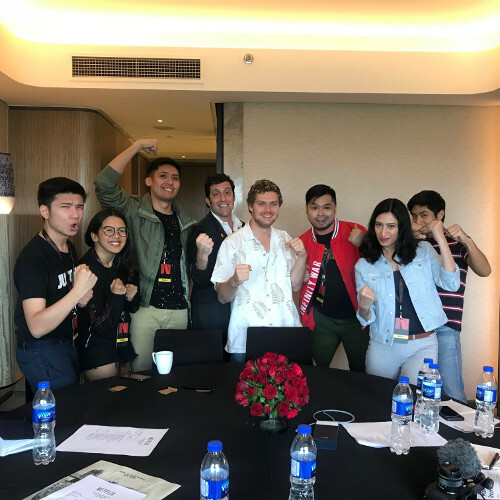 A couple of months ago our friends from Netflix flew us abroad for a very special Netflix panel that took place at the AsiaPop Comic Con in Manilla. We got to sit in for the world premiere of "Iron Fist" season 2 and talk to lead actor Finn Jones and showrunner Raven Metzner themselves for the gritty deets! Cinema Online: So how has the Danny Rand/Iron Fist story evolved in season 2? Finn Jones: One of the journeys this season is for Danny to find balance and he has to be stripped away from everything in order to learn how to take it back. It's not just good fist, bad fist. It's way deeper. Raven Metzner: The Marvel Cinematic Universe deals with big threats and The Hand was also a global organisation but this season, we really wanted to make this show more personal. This season is about two brothers in conflict, Davos and Danny. It's complicated by the fact that they love, care, and support one another but have fought and are jealous of each other. The more you add all that dimension, the more story you'll get. Raven, as showrunner, did you draw any inspiration from Asian films or stars since obviously the martial arts aspect and mythology of the show draws a lot from Asian culture. Raven Metzner: Definitely, I have quite a few favourite Asian action stars. Hey, the first film that I wrote was a Jackie Chan movie, and I did rewrites on "Rush Hour 2". I was able to meet Jackie and work with him and his stunt team and that was a big influence on me. Donnie Yen in "Ip Man" was great too. Finn, how did you train to become more like the Iron Fist this time around? Finn Jones: I've always given a 110% of my energy. For four months before the show started, I trained for five days a week under different disciplines. I really wanted to give my energy and all of my mental and physical self. I've trained with an ex-Shaolin monk named Shifu Ming as well. He would motivate me by saying, "More Chi, more power!". What was it like filming on set and was there any interaction with the rest of the Netflix-Marvel guys? Finn Jones: The environment on set is awesome and I'm not just saying this. I'm being totally honest here. Everyone is super friendly, super supportive, very down to earth, and everyone just wanted the best for each other. Raven Metzner: I'm incredibly grateful to all the showrunners who welcomed me this year when I arrived. Cheo the showrunner of "Marvel's Luke Cage" was open and gracious. I remember when I started and they were shooting the crossover, Cheo shared all the pages with me. He also wanted to know what my plan was for season two so that anything that Danny said or did wouldn't interfere. So now that you've gotten a grip on the season 2 deets, what are you waiting for? Head on over to Netflix ASAP cause all 10-episodes of "Iron Fist" season 2 is now showing! Psst, just so you know... you no longer have to actually own a credit/debit card to subscribe to Netflix. 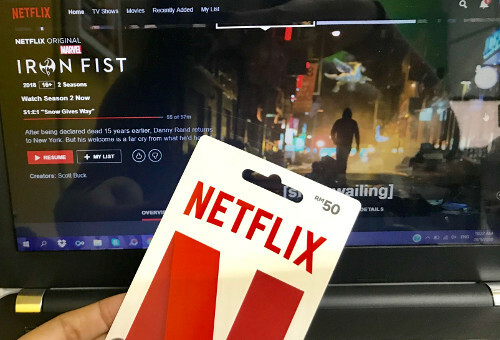 Now you can get your hands on the Netflix gift cards at RM50 or RM100 value sold at 7-Eleven stores nationwide! It's an easy and convenient way to pay for your own membership as you binge, plus hey, a Netflix gift card can even make for a great present! Have you ever wanted to be a https://freenetflixacc2019.weebly.com/ extra in a Hollywood movie production? Did you know that Hollywood has moved to New Mexico? What are the motivations and advantages to becoming a movie extra? Is it for the fame, the fortune, the departure from the everyday life routine, the extended family bond you find among other fellow movie extras, or for the great stories you'll tell for years to come. Discover what life as a movie extra is like in the state of New Mexico. Is it for the fame, the fortune, the departure from the everyday life routine, the extended family bond you find among other fellow movie extras, or for the great stories you'll tell for years to come. Discover what life as a movie extra is like in the state of New Mexico.